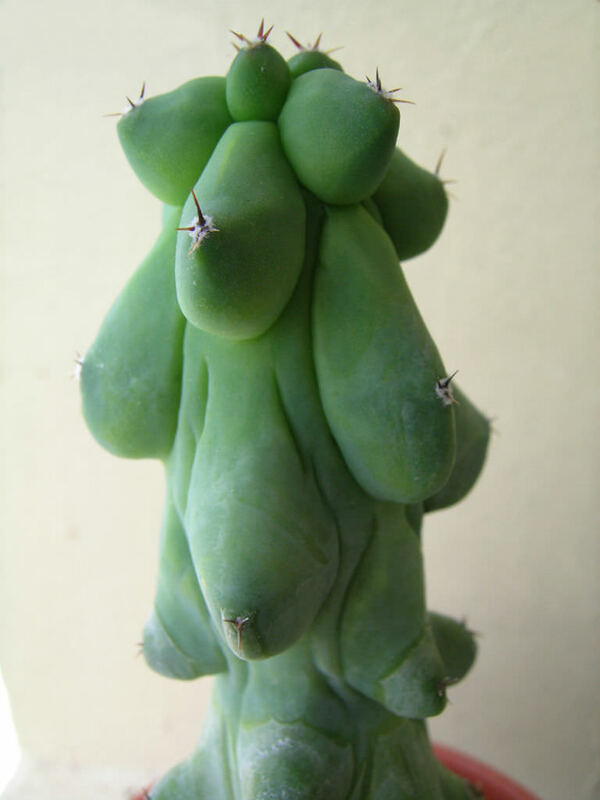 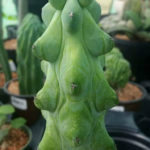 Myrtillocactus geometrizans ‘Fukurokuryuzinboku’ is a strange and very rare monstrous form of Myrtillocactus geometrizans. 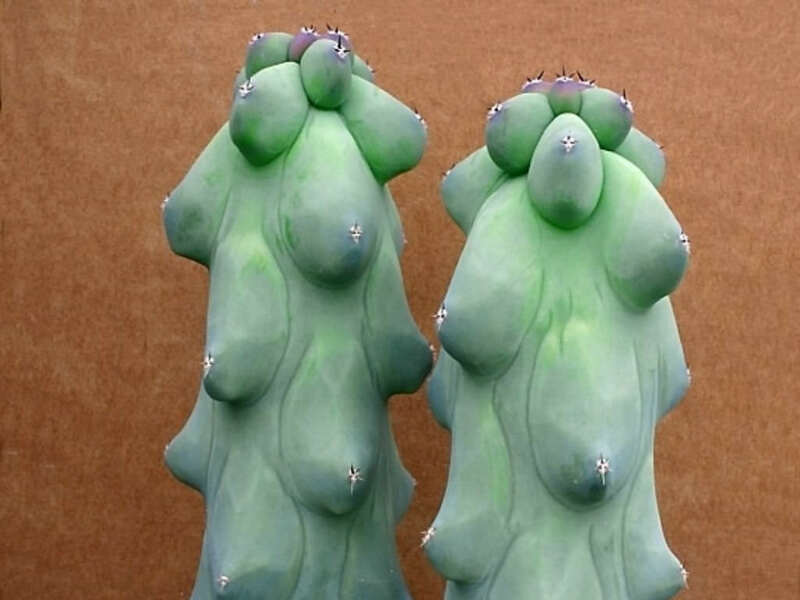 The stem is blue grey, up to 4 inches (10 cm) thick, with 5 to 8 strange chinned ribs, shaped like a woman’s breast up to 1 inch (2.5 cm) in depth with areoles up to 2 inches (5 cm) apart. Each areole may have up to 9 spines, but generally they have 3 to 5 spines, up 0.5 inch (1.2 cm) long. 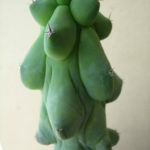 The flowers are up to 1.5 inches (3.7 cm) across and greenish white in color. 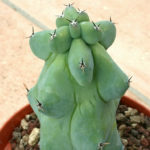 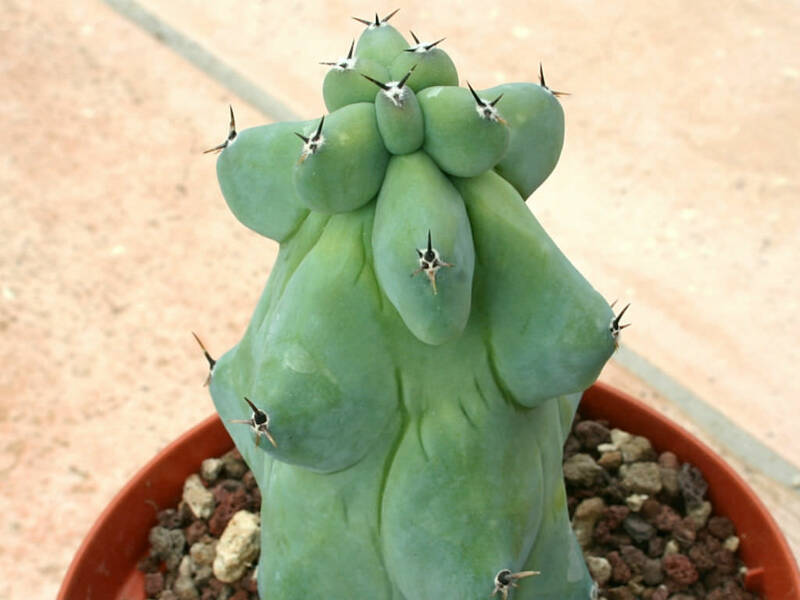 If the plant needs repotting, use a fairly impoverished soil specially designed for cacti. 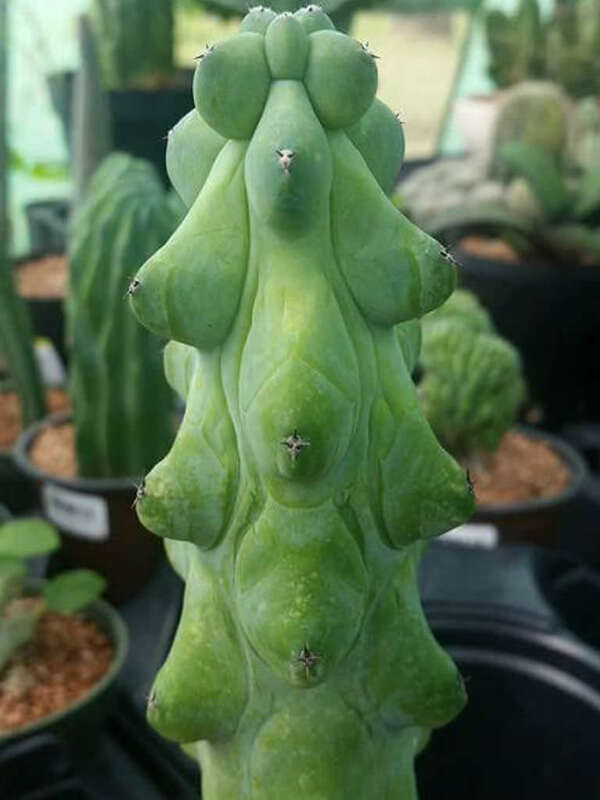 By seed or cutting (allow the cut surface to dry out for 2-3 weeks before placing in an open rooting media)… – See more at: How to Grow and Care for Myrtillocactus.